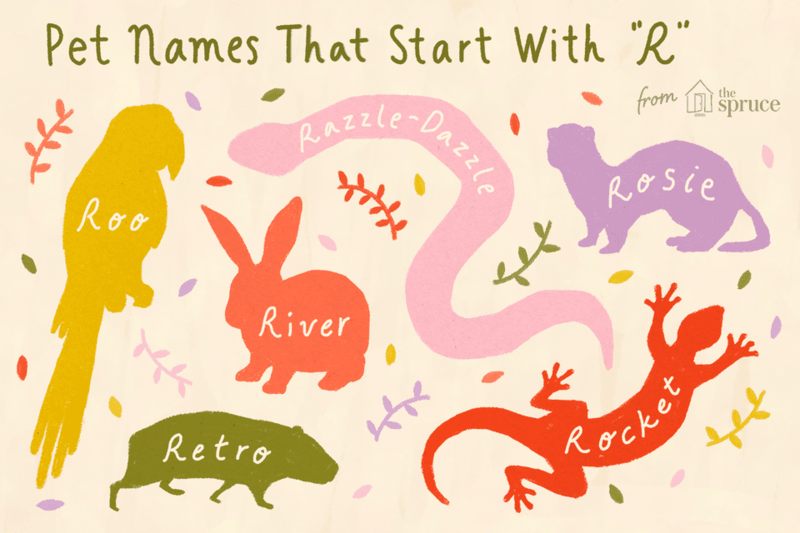 If you're looking for an exotic pet name that begins with the letter R then you're in the right place. Whether you are looking for a cute name, a cool name, or a famous name, look no further. Naming a pet can be a difficult task regardless of what kind of animal it is, but especially if your pet doesn't have a distinct personality or is one of many small pets (such as fish or a flock of finches). Use this list of R names to inspire you, and if you don't find one you like, be sure to check out the lists of other names. If you already have an R name for your pet, find out if it is on this list! If you are still having trouble finding that perfect exotic pet name, try checking out names that start with another letter. Names for pairs of animals also have their own list as do specific kinds of exotic pets (names for chinchillas, pot-bellied pigs, ferrets, rabbits, etc.). Don't give up naming your pet if you don't see one you like. Deciding on a name can take time, and you may even have to change it a few times to find that perfect fit. Need a Pet Name That Begins With "T"?